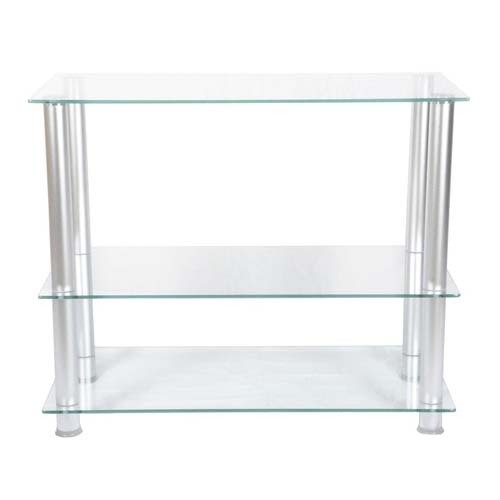 More on the RTA Extra Tall Clear Glass and Aluminum 42 inch TV Stand TVM-002 below. 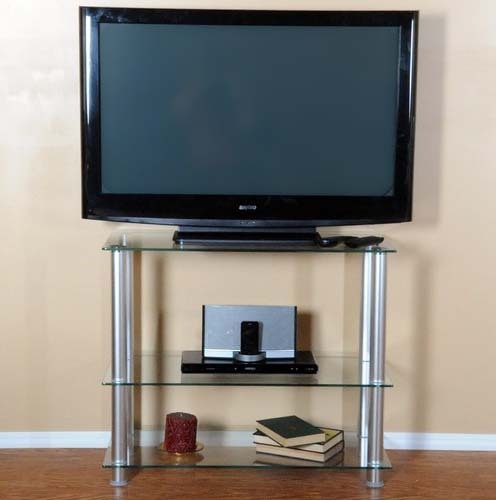 Stand will accommodate a 42" flat panel television. 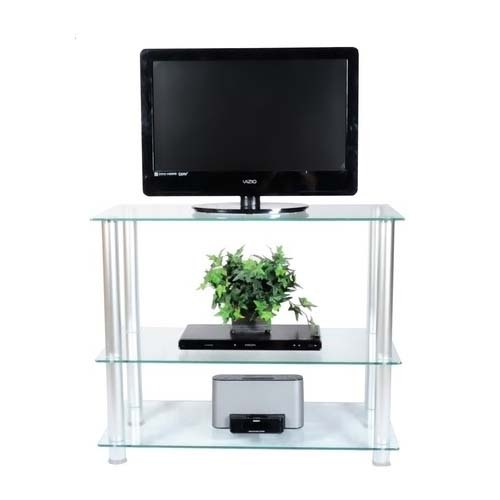 This stand is also included as part of the TVM-075 and TVM-082 Extended Plasma Stand Sets (sold separately). Plasma and LCD TVs up to 42 in.